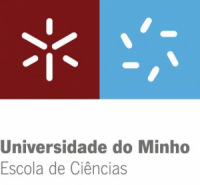 BioISI is hosted by FCUL – Faculty of Sciences of the University of Lisboa, the largest of ULisboa 18 schools. BioISI research is mostly conducted at the FCUL campus. 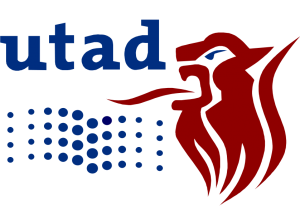 Other participating institutions include: the National Institute of Health (close to FCUL campus) the reference Portugal health institute and thus strategic for BioISI health goals, and Universities of Porto, Minho and Trás-os-Montes (in Northern Portugal), with 1 plant lab each ensuring an inter-regional plant biology network. BioISI research groups (RGs) are constituted by various teams (or Labs) each with a PI who reports to the RG leader RGL. These teams are grouped based on their common scientific area, methodologies, shared technologies and/or organism model. PIs from the same RG contribute to different Thematic Lines (TLs). Each TL has a Coordinator (TLC) who promotes cooperative interactions to foster integrative research. The BioISI Director, assisted by the RGLs and TLCs (Scientific Committee), is responsible for the strategic guidance and implementation of the external advisory board recommendations. The Scientific Council comprising all BioISI PhD researchers is the highest decision instance. BioISI aims to make the public aware of the value of its research for society and human well being. Outreach activities will be developed to target young people, school teachers and general public, so as to raise awareness, understanding and involvement in the systems approach to biology and BioISI research in particular. Communication & Outreach activities are carried out by the BioISI Communication & Outreach Working Group (Coordinator: M Gama-Carvalho). 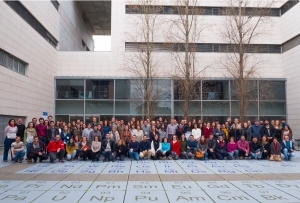 The Communication & Outreach Working Group promotes the active participation of BioISI in internal and external Science and society events, organizes events for schools and the general public and coordinates school visits to BioISI facilities. The Group also organizes BioISI seminars and other events, working jointly with FCUL press office to disseminate activities, major achievements, prizes, etc. BIOISI’s team believes deeply in the concept of science contributing back to society. That is the principle behind the KITT concept of BIOISI – Knowledge Innovation & Technology Transfer. BioISI is actively engaged in developing its scientific and technological discoveries to benefit society, as indeed 25% of BioISI activities are on applied research. Thus, interacting with the socio-economic environment is an important BioISI aim. BIOISI CL-WG is closely articulated with TEC LABS and Technology Transfer Office of ULisboa and ensures a proper flow of commercialization opportunities identified within the centre R&D&I outputs.